Fun on Lake Winnipesaukee, Squam, Winnisquam, Newfound and MORE! On The Water - Fun on Lake Winnipesaukee and MORE! The Lakes Region is famous for fun on Lake Winnipesaukee and more in the summertime with boating, fishing and more on the water fun! Take advantage of all the 273 lakes and ponds in the area, including Winnipesaukee, Squam, Winnisquam, Newfound, Ossipee and Sunapee! Get on a boat for a tour or squeeze in some fishing. Jump right into the water to go tubing, water skiing or just to splash around. Be active and rent a canoe or kayakfor even more fun on Lake Winnipesaukee. No matter how you like to enjoy the water – the Lakes Region has activity for you! What would YOU like to DO on the water? Choose your favorite way to have fun on Lake Winnipesaukee and MORE! Located next to Church Landing at Mill Falls at the Lake. Rentals: Stand up Paddle Boards, Aqua Cycle, Kayaks, Canoes & Bicycles. Daily Boat Rides & Private Charters on our 26-foot Pontoon Boat & 1931 Chris Craft Triple Cockpit. Learn to waterski, wakeboard, wakesurf, kneeboard or barefoot using the best methods and latest technology. You need nothing more than desire, we provide equipment and instruction. Lessons by appointment. Learn to ski on your first lesson, guaranteed or its FREE! More than 20 years experience fishing and guiding in the Lakes Region. I fish all the lakes and will customize your adventure. Families, groups or one on one from my 19 foot bass boat. Join me where Eagles soar and Loons sing! Winter ice fishing from a cozy heated shelter. 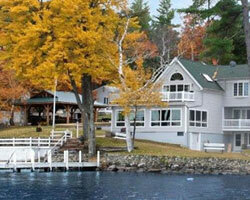 Tour beautiful Lake Sunapee aboard the MV Mt. Sunapee II and MV Kearsarge restaurant ship. Enjoy the pristine scenery as you settle into your deck chair while the Captain narrates the history, lore and points of interest of this beautiful mountain lake. Daily dinner cruises & private charters available. Less than 2 hours from Boston, Lakeside Watersports is the premier wakeboard and waterski school in New England bringing professional watersports instruction to Lake Winnipesaukee from the Winnipesaukee Pier at Weirs Beach. Brand new boats and all necessary safety equipment provided. Staff is EMT and lifeguard trained. Learn how to ride behind the boat on waterskis, wakeboard, wakesurf, kneeboard, tube or just go for a captained sight-seeing cruise on the lake. Bookings by appointment only. Fun for all ages. Opening May 25th 7 days a week through Labor Day then weekends through September 29th. 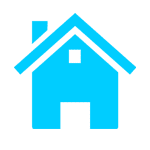 Check out our website below for all offerings. NH Boat Museum exhibits feature the boating history and heritage of NH’s lakes and rivers. Events, Programs & Hands-on Activities. Museum Store. Also vintage Boat Rides on Lake Winnipesaukee aboard the Millie B. Free museum pass with every boat ride or discount coupon to ride the Millie B with museum admission. Open Memorial Day Weekend-Columbus Day, Mon.-Sat. 10am-4pm, Sun. 12noon-4pm. Nearer to Nature! Live native animals in trailside enclosures, hands-on interactive exhibits, children’s activity center and playscape, guided pontoon cruises on pristine Squam Lake. Howling Coyote Gift Shop features nature-related items. Trails are open daily May 1- Nov 1, 9:30 am to 5 pm (last trail admission at 3:30 pm). Cruises offered daily May-Oct.
Cruise around Wolfeboro Bay and the surrounding islands aboard the Wolfeboro Inn’s 65-foot replica, turn-of-the-century paddle boat. 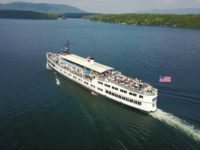 The Winnipesaukee Belle departs from the Wolfeboro Town Docks for daily scenic cruises, and evening Local Brews and Thirsty Thursday cruises. She can also be privately chartered for weddings and events, and can accommodate up to 100 guests. With two-levels, a stocked bar, restrooms, and indoor and outdoor seating, the Belle is the perfect way to enjoy Lake Winnipesaukee. Please call for more information.